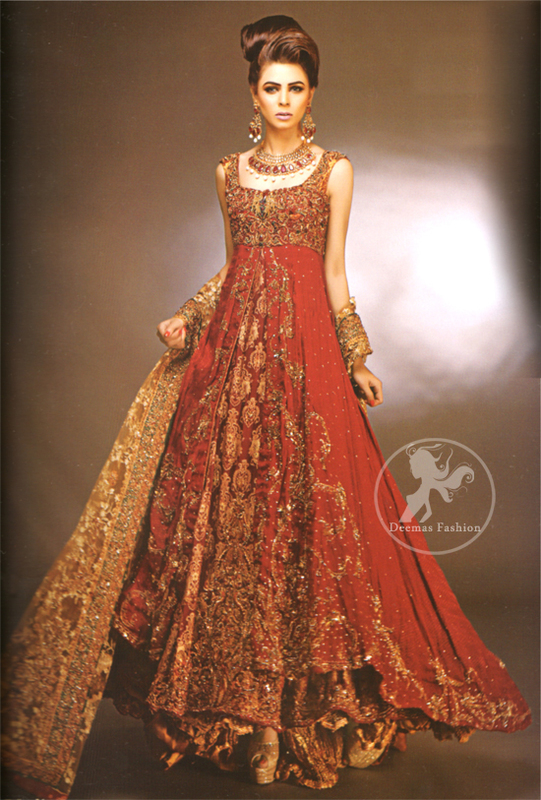 Tags: Back Trail, Bridal, Deep Red, Front Open, Golden, Gown, Lehenga. 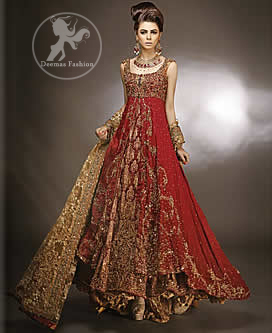 Deep red front open back trail bridal gown with golden lehenga and embroidered dupatta. Golden net dupatta contains large border on front side edge and comparatively lighter work border on rest of the three edges. Crystal stones crafted all-over the dupatta.